Pastor Kris Minefee and his wife LeeOra were both raised in Arizona and were high school sweethearts. They were married one year after they graduated from High School and then attended and graduated form Independent Baptist College in Dallas. 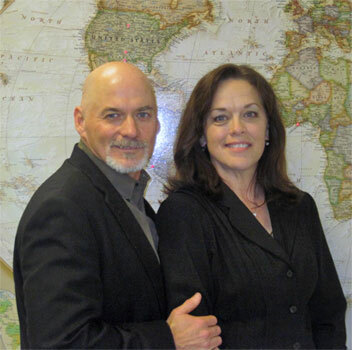 They have served the Lord as pastor and wife in Texas and as missionaries church planters in Arizona. They have 4 married children and 5 grandchildren. Bro. Kris has over 35 years experience as a pastor and missionary and has also served as a Bible College Chancellor and theology professor in Dallas, TX. The Minefees last worked as church planters in Flagstaff, Arizona before returning to Texas where they have spent most of their lives serving in three churches, in Farmers Branch, Dallas and Channelview from 1979 to 2008. Pastor Minefee is an expository preacher and Bible teacher who believes in strong scriptural training and discipleship. 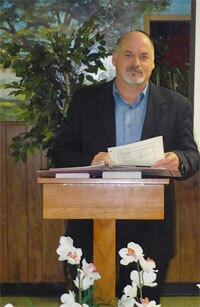 He preaches through the Bible and enjoys teaching in-depth verse by verse from the books of the Bible. LeeOra Minefee is a leader and teacher of women and has been involved in seminars, Bible Studies, ladies retreats and groups everywhere she has served as Pastor's wife. She also enjoys American Sign Language and often uses it in duets with Pastor Minefee. This is all the inheritance I can give my dear family. The religion of Christ can give them one which will make them rich indeed.